Information security breaches are becoming increasingly more common, potentially affecting all businesses. Companies need to heed the warnings that there is risk to their systems. There are essential components that should be put into place to protect your systems. At the same time, it is key for your company to have a preparedness plan if an incident does occur. In case of a breach, an emergency plan can reduce the impact on your entire organization. What are your risks? Layers of protection? Are some systems more vulnerable than others? Do you have preventative controls in place? Do you have restrictions on access? If there is a breach, what do you do, who do you call? What are your essential, critical documents? How are they protected? Is your plan communicated throughout the organization? When and how are employees, vendors and customers notified? Do you have a policy and procedure for an incident response and notifications? Do you review these policies annually or when your systems technology change? Do you provide employee training throughout your organization on a regular basis? 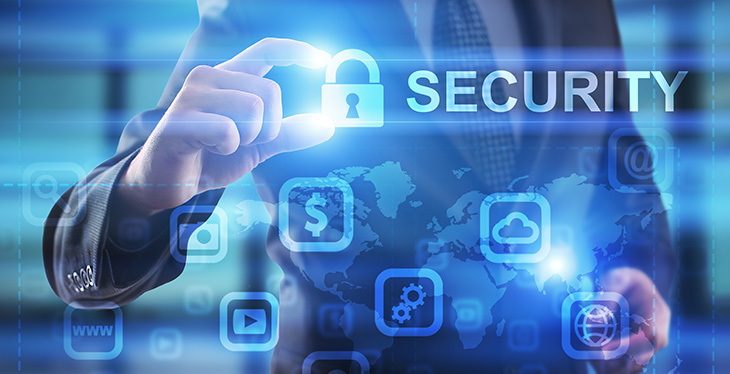 OMA Comp can assess you current technologies and consult with you to ensure that you have the proper security mechanisms in place to help secure your information systems and reduce your vulnerabilities. We can assist you to develop an appropriate emergency preparedness plan if an incident does arise, and provide necessary employee training. Ransomware Attacks – Becoming more and more popular, hackers gain access to third party software (such as Microsoft Office, Adobe, etc.) to achieve access and encrypt your company’s information. These hackers then exploit your business by requiring payment to decrypt the information. Your Cybersecurity strategy should include a plan to minimize the risk of losing critical information. Malicious Emails – Hackers send email links to invade your system and wreak havoc. It is vital to have a policy in place and employee education to prevent unnecessary system shutdown. Mobile Malware – Hackers are looking for opportunities to gain access on existing vulnerabilities between updates on mobile systems. Make certain your mobile device and your employees are current with the newest operating systems. Cloud Technology – As reliance on cloud technology has grown exponentially, a tactic to measure security and efficacy in cloud application usage should not be ignored. Employee Training – Routine security training is essential to keep your online environment as safe as possible from intrusions. Untrained employees are the number 1 cause of hacking issues. When employees leave the office, they are still targeted through home networks or travel as employees work remotely from their laptops, tablets and mobile devices. OMA Comp offers essential services including assessment, consulting, managed security and training. We partner with you as a knowledgeable advisor so you are able to understand and decrease your current systems potential threats and take advantage of new emerging technologies. Illegally hacked information, accessing databases, and increased security breaches have become our new reality. There are some proactive security measures that are available to help protect your identity. Use firewalls and anti-spam/virus software, update security patches and change passwords for Internet accounts. If there is an email plea for personal information or a donation to charity, make a phone call to verify that this is not a scam. Sign up for an Identity Protection Service such as ProtectMyID that provides more immediate knowledge of theft so a resolution can be implemented quickly. Many credit card companies have extra protections and restrictions available. Contact yours to see what makes sense for you. Check your credit card statements regularly for any disputed charges. If it is available in your jurisdiction, consider purchasing Identity Theft insurance. Speak with your insurance underwriter for policies, terms, conditions and exclusions to see if this protection is right for you. If you are a victim of identity theft, contact your local police department and file a report. Obtain a copy if requested by creditors to correct your records.